Folklore student fieldwork project containing several verisons of the St. Anne's Retreat legend. Digitized by : Utah State University, Merrill-Cazier Library. Digitized by: Utah State University, Merrill-Cazier Library. Reproduction for publication, exhibition, web display or commercial use is only permissible with the consent of the USU Libraries Special Collections and Archives, phone (435) 797-2663. 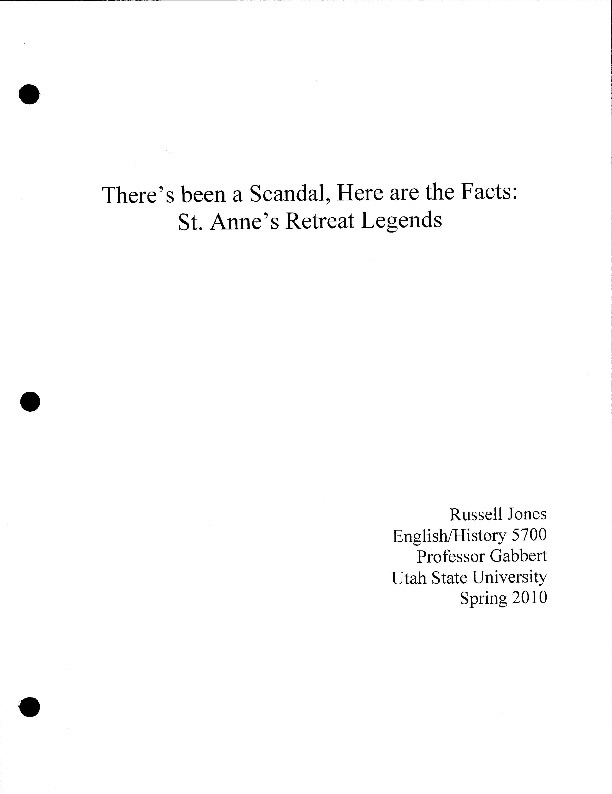 “There's been a Scandal, Here are the Facts: St. Anne's Retreat Legends,” USU Digital Exhibits, accessed April 20, 2019, http://exhibits.lib.usu.edu/items/show/5724.